Do you ever wonder how we could stop the world from spinning at such a fast pace or perhaps just long enough to give us time to connect with the things we treasure most? If you consider the current economic climate and the fact that many baby boomers are now working harder than ever to claw back lost retirement savings, it may be a question that has crossed your mind more frequently than you had cared to admit. Karuna Montessori Pre-School at Narraweena recognises how this current environment can place unwanted stresses on families so recently it invited the world to stop for just two hours and held a grandparents and special friends event. The children (aged 3-6years) invited their guests one by one into the classroom to see the work that presently inspires them. They then entertained with a stirring musical concert and concluded the event with the grandparents reading a book to their grandchild in the nature garden. Margaret Wayland, director of Karuna, said the children were proud to show their grandparents their classroom. 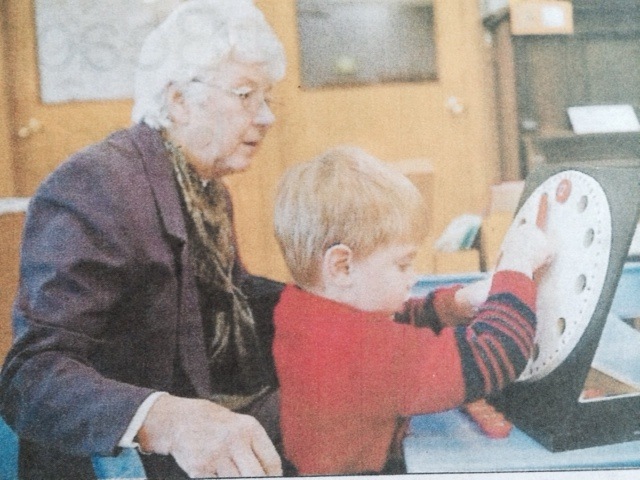 “The grandparents seemed to forget about the outside world for a moment and immersed themselves in the joy of the children’s slower paced world,” she said.